at Stourbridge’s Seven Stars Blues Club. where he first met John Bonham. when he attracted the attention of CBS Records. for CBS, but none of these made any significant impact. Were Listen formed as early as 1964? 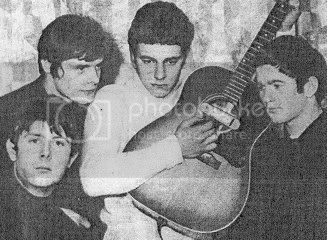 I saw them at the Rainbow Suite (Co-op function hall) in Birmingham in 1966. My dad is Geoff Thompson, Listens drummer. And yes, you are right – they were previously The Tennessee Teens. i am trying to trace my cousin, John Crutchley, would appreciate any help.